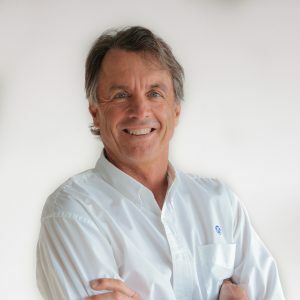 After 14 years of experience with sailcloth manufacturer Bainbridge International, Paul “Flipper” Westlake joined North Sails in 2001, subsequently becoming President of North Sails Cloth. A deciding factor in making the move was North’s dedication to technology and willingness to push the limits to improve sails. He is currently Head of Global Sales for North Sails and is a self-professed “junkie” of all things lighter/stronger/faster. Flipper is a veteran of 14 Sydney-Hobart Races, 10 World Championships, and five America’s Cup campaigns, including the year that saw the sinking of the ill-fated One Australia.